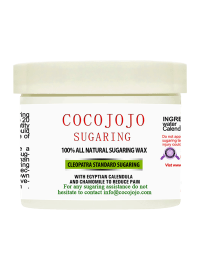 CocoJojo offers you the same sugaring technique that Cleopatra used to remove her unwanted hair! 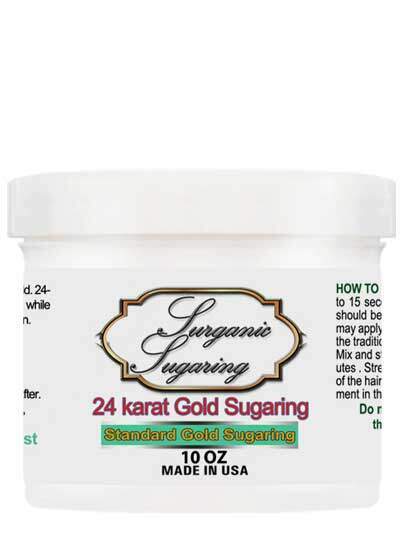 Sugaring with 24 Kt Gold is a new innovation that merge hair removal with hydrating and moisturizing features in addition to the great value and benefits of the Gold . This new innovation will really help you skin to look pretty and softer after your hair removal secession .Hard sugaring paste ( for using by hands) made from 100% NATURAL INGREDIENTS with no harmful side effects caused by allergic reactions. ;Sugaring paste can be easily cleaned up with water – clients won’t feel sticky after treatments;If it is your first time using sugaring please watch our videos and if you still have a problem call us or send an email and we will assist you. Sugaring is a technique of hair removal for our bodies that is similar to waxing. Sugaring is made from honey sugar and water. As opposed to waxing, sugaring leaves the skin smooth soft and clean, even before aftercare. Our products are created with only the best, all natural ingredients. 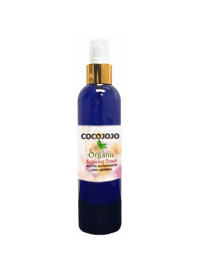 We guarantee Cocojojo products are free from any harmful ingredients. Anything anyone does improves through training, so you should realize that you won’t be a sugaring professional starting from the first time you use this procedure. It usually requires 2 to 3 times in order to master sugaring techniques for hair removal. You need to understand how hair grows from your skin in order to understand how the sugaring technique works. When you shave hair off using a razor, you only remove the hair shaft and the hair quickly regrows thicker and coarser. But when you use the sugaring method of hair removal, hair is removed beneath the epidermis so it takes about 5 to 7 times longer for hair to grow back. Sometimes there is a very tiny amount of bleeding, so don’t worry, as this shows that your hair is removed from the papilla and this should make you happy, as any hair removed from the papilla will never grow back again. The first step to be sugared is to have clean and dry skin; and we also recommend that you use the sugaring cleanser and sugaring sterilized powder to complete the drying process and sterilize your skin. Do not forget to remove any excess powder. Powder also plays another role, which is preventing sugaring paste to stick to your skin. However, be sure to allow sugaring to stick to your hair so that it will be stronger and work better. Apply sugaring in a cool room or in front of a fan. Try to prepare the best environment to avoid sweating during sugaring, as sweating makes the process of sugaring harder and may cause irritation. If it is too hot, sugaring may stick to your skin. The sugaring solution works best when it is allowed to sit at room temperature for a few hours. If it is too cold it may be hard to get out of the jar and you will need to warm the sugaring for few seconds in a microwave or a hot water basin. Practicing the correct technique of sugaring will help you to absolutely avoid having any residue on the skin. However, if any sugaring solution residue is left over on your skin, don’t worry, as it is easily soluble in water. You can always remove any sugaring solution from your skin using warm water. If you are going to continue sugaring, remember to dry your skin very well and apply more powder before reapplying more sugaring solution. If sugaring becomes too sticky, get a new piece of sugaring and stretch it diagonally over the sticky area and then pull quickly. Whenever you feel sweaty, add the appropriate amount of powder and then continue sugaring. Do not over add the powder. Though sugaring is the best natural way to remove short hair, very short hair is a little bit harder to remove, so allow a period of growth for at least 6 to 8 days. Apply sugaring against the direction of hair growth and pull the sugaring in the same direction of hair growth……Repeat if the hair is not removed completely. 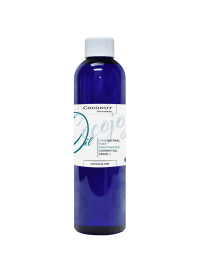 It is preferred that you use some toner after sugaring to close your skin pores. Also, using sugaring serum and azulene oil helps in delaying the future hair growth. and standard, which can be used with strips, and a spatula in the traditional way. Warm Sugaring in a heater or microwave or hot water like in the videos. (5 seconds for the 3 oz – 10 seconds for 8 oz – 12 seconds for 10 oz – 30 seconds for 33 oz) time may vary according to the inside container quantity. if you already used half of the quantity so make half of the time.Do not overheated. If consistency is hard you may add 1 drop of hot water and mix again. If your skin is clean and completely dry you don’t have to re-clean or to use talc powder (skin should be without cream or lotions and better to have a shower and dry yourself very good before applying the sugaring). Be sure that your under arms and bikini is completely dry. You may remove your underarm hair in front of a mirror to see where to apply the sugaring. If a piece of sugaring stick to your skin simply wash this part and dry very well then use another piece of sugaring ( this is the simplest way) we have explained in the video what to do (you may leave this part and take another small piece of sugaring without mixing and stick to the other part and remove it like in the video). Please visit the Tutorial videos for More Helpful Information. If you still need any assistance or advice please send us an email and we will advise and assist you . If emails are not enough for you we will go with you over the phone step by step until your full satisfaction. Remove the lid and the tray before using the microwave and you should be aware that the down side of the jar is hotter than the top and the middle is hotter than the outside of the jar. Sugared is a kind of relation between sugaring paste, your body temperature and room temperature. An example is if the room temperature is so warm that the sugaring paste becomes soft or if the room temperature is so cold that the sugaring becomes hard. To avoid swelling or irritation keep room temperature cool. To avoid swelling or bruising avoid lifting skin upward when flicking. When you sugar bikini area with any kind of sugaring tight skin very well before flicking. For knees use colder harder sugaring paste and let the sugaring set for 20 -30 second before removing, start below the knee and continue up and fully over the knee. Slowly apply sugaring against you hair growth 3 times with a suitable applicator then apply the strips and quickly flick up the sugaring in the same direction of hair growth, don’t forget the trick is to apply slowly and flick fast. When removing the strip, stretch the skin taut and hold firmly. Flick the edge of the strip and remove in the same direction of hair growth. Arms are 1 of the few places on the body when the hair does not grow down but rather from side to side, apply sugar from the outside of the arm toward the inside. For legs you should apply from the feet upward. If a piece of sugaring do remain during the process dab up with the strips or the piece of sugaring that you are currently using also you can simply remove it with warm water. If standard sugaring stick to your skin to not apply pressure and simply scope a new colder harder piece of sugaring and apply diagonally over the gooey area and flick fast. Stubborn hair needs to be removed with the circular technique. or you may tweeze it out. Do not exfoliate the skin 48 hours before or after sugaring. No saunas, public pools, hot spas, 48 hours after sugaring. Avoid sun exposure, suntan and/or tanning beds two days before and after sugaring. Avoid Laser Resurfacing or Chemical Peels two days before and after sugaring.